Ravens are depicted throughout traditional folklore and mythology as spooky intelligent dark and adaptable characters. They are often seen as scary because of their natural black colour and shadow like appearance. 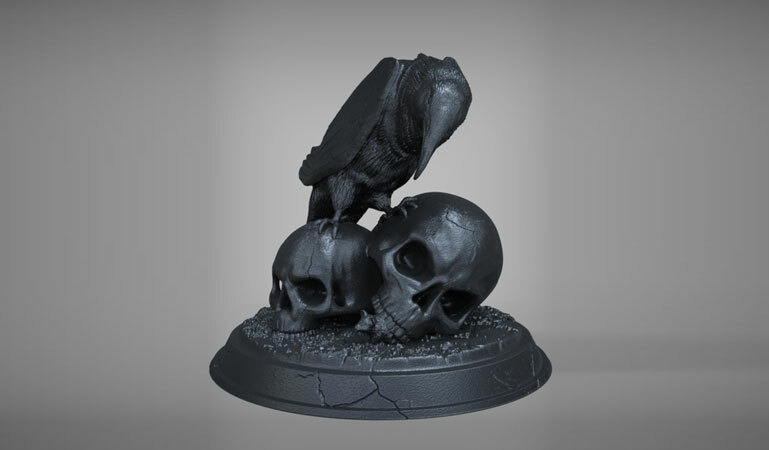 This Raven resting on two skulls will chill out any light hearted halloween party animal.